Four NIACC athletic teams from the 2016-17 season have been recognized by the NJCAA as an academic honorable mention team of the year. To be eligible for academic team of the year honors, teams needed a GPA of at least a 3.0. 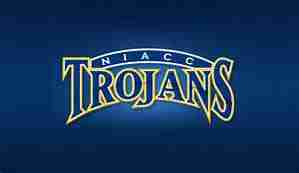 The NIACC women’s basketball team recorded a 3.24 grade point average and was one of five Iowa schools honored. The others were DMACC, Southeastern, Iowa Western and Ellsworth. The NJCAA women’s basketball team of the year was Northern Oklahoma College-Enid with a 3.68 GPA. The NIACC women’s golf team recorded a 3.24 GPA and was one of four Iowa schools that were honored. Others from Iowa honored were Southwestern, Iowa Western and DMACC. The women’s golf academic team of the year was Daytona State College with a 3.89 GPA. The NIACC men’s golf team was honored with a 3.03 GPA and was the only men’s golf team from Iowa on the honorable mention list. The national men’s golf academic team of the year was Parkland College (3.58 GPA). The NIACC softball team recorded a 3.01 GPA and was one of five Iowa schools honored. The others were Iowa Western, DMACC, Iowa Central and Iowa Lakes. The national academic softball team of the year was Lincoln College (3.74 GPA).